Wow... I love this!!! 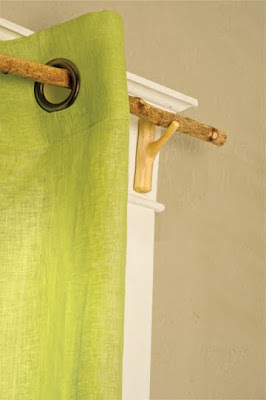 The branch curtain rod is truly inspiring. What great ideas! I love the spoon holder. 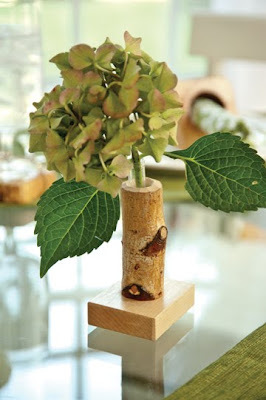 Could double as a mini xmas tree during the silly season. So clever! 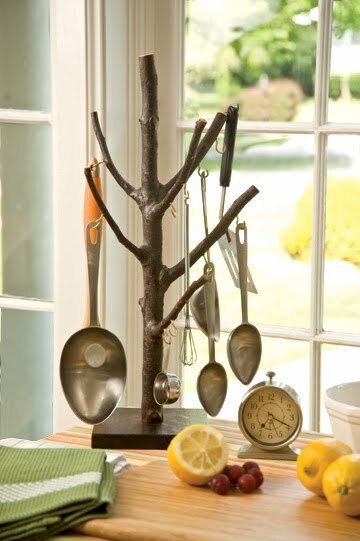 I love the branch for hanging utensils! What fun. 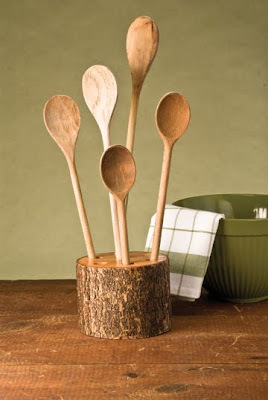 Love the spoon holder. Looks like I might have to get out the drill soon. oh my these crafts are awesome!! LOVING them! I have birch branch curtain rods!! thanks to my neighbor when he cut back his tree!! 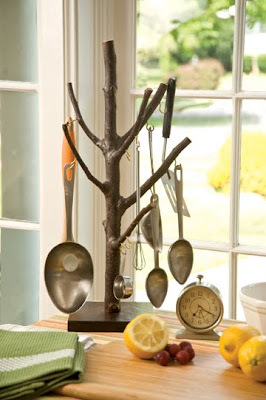 Love the ideas, espcially the wooden spoon and curtain rods! In my first house, I used bamboo as my curtain rods - on simple cup hooks - perfect and cheap and GREEN! what a great blog!!!! So glad I found you. i love love love all the ideas! So natural and looks raw and organic. Hi! 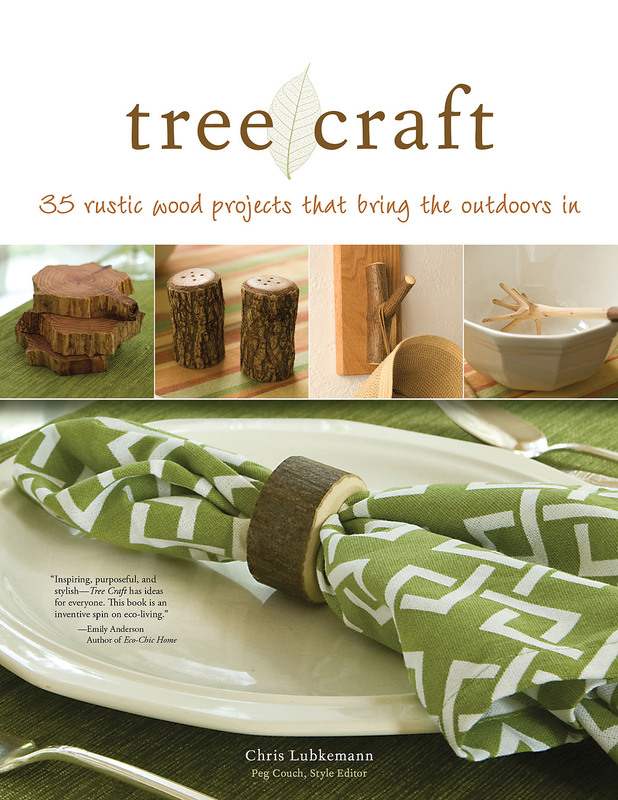 The is Chris, author of TREE CRAFT. I don't spend much time on the computer or the Internet in general, but I did just read some of the comments on Little Birdie Secrets. I'm glad folks are enjoying some of the ideas and projects in the book. I had tons of fun doing the book< and I can only say how great the Fox Chapel Publishing folks are! When they asked me to write a book on "eco-chic" projects, I laughed. Having spent a bunch of years in the interior parts of Brazil and Peru, I figured I could handle the "eco" part...but as for the "chic" portion, I told them I didn't have a clue! Happily, Peg, Kerri, Scott, Troy, and the rest of the editorial gang were up on "chic" and were able to do a great job on "chic-ing" up my "eco"! Must run. I'm heading over to my shop at the Amish Farm and House. Lots of work to do...and besides, I get to spend time with a bunch of my grandkids, great-grandkids, and great-great-grandkids (and would you believe I'm only 65!!) Actually, there's a picture of me with a number of them on page 126 of the book. This is really great! We are surrounded with trees here to so I should make some.. hehehe.. :) Thanks for sharing! Really a brilliant idea and also a nice creativity.